When a company utilizes the resources of a parent web hosting company and sells it as their own it is called as Reseller Hosting. Before choosing a reseller hosting provider, it is always better to get the information you need to determine how to make the most of this option and whether it is beneficial for you. There are different features available for reseller hosting depending on the host company. Following are some of the common features often included in packages. Today, most businesses that rely on Internet technology add web hosting into their services. This can be purchased separately as the best way to get all your Internet needs to be met in one place. 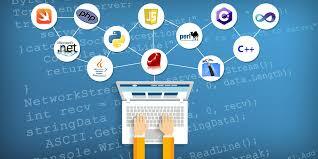 The other way round can be the company that you deal with may add web hosting as part of your package of services. Most Database programmers, bloggers, graphic designers or internet marketing consultants are some of the few related services that may offer web hosting to their clients as a reseller. This is because such companies purchase web space in bulk which they get at some discounted prices and can pass this savings on to you. The other way round, these resellers may include the cost in with your other services so in total you get a good deal. Most of the reseller web hosting providers are reputable and offer superior quality service. However, you must beware of those that do not provide good services. It may happen that a reseller may not have the ability to offer the customer support which the parent company offers. You may have to deal with outages and lower uptime percentages if your reseller is not with a strong parent company. Some resellers may also lessen the features or may increase the cost of hosting. It would have been better if you choose to take services from the parent company thus saving you a lot of money. Possibilities are that the reseller may keep control of your site. In case you may experience a hard time if you want to access your files. While this does not happen often, it does occasionally and it is something to be aware of. If this does occur, find out what the parent company is and contact them. Research web hosting companies and search for the reputable reseller hosting provider.